Alexis Sanchez is ready to dig his heels in and see out his Manchester United contract despite the Red Devils' desperation to get rid of their hugely disappointing top earner. Sanchez arrived at United last January in a swap deal with Arsenal that saw Henrikh Mkhitaryan head to the Emirates, but the Chilean has struggled immensely at Old Trafford, scoring just one Premier League goal this season while earning as much as £500,000 per week. Initially championed as a substantial coup to steal the winger from under the nose of rivals Manchester City, Sanchez's time at United has quickly turned into a nightmare. Now, with Ole Gunnar Solskjaer set to get the United job on a full time basis, the Norwegian is desperate to usher Sanchez towards the exit door and in turn, free up wages for a summer overhaul. Is Alexis Sanchez our biggest flop ever? There has been interest in the former Arsenal star from PSG and various Spanish clubs, but his astronomical wages remain a major stumbling block. United would even be willing to subsidise part of his salary in order to get him off their books, but Sanchez would, of course, have to agree to a move. The Sanchez signing has had a huge negative ripple effect, with United's top stars now seeking equal wages to the 30-year old. David de Gea, in particular, is still stalling on a new contract with his current deal set to expire next summer and United unwilling to match his wage demands. Sanchez, out for six weeks with a knee injury, has not seen his form improve with Solsjkaer at the helm and has not scored under the interim manager despite United's revival since Jose Mourinho's sacking. 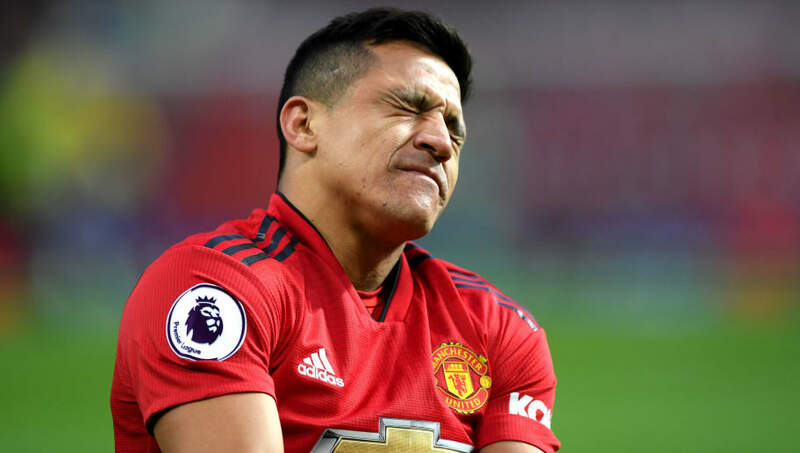 Sanchez would still like to resurrect his United career, but the Red Devils' hierarchy would rather cut their losses and move on from this disastrous episode.